I have to share another recipe. Actually I kind of made this up yesterday, although I am sure it is not original and that it likely already exists in many forms. It was a spur of the moment thing for me though, and we really liked how it turned out. Davey even tasted the soup. If you consider a couple of licks a taste, and at this point we do! “MMMMMM, it’s delicious,” he said as he gently set the spoon down and backed away slowly. So, I already had a recipe for potato soup that I really like. I got it from my sister. I boiled about 10Yukon gold potatoes in just enough water to cover them. I did use organic potatoes as I have been going organic as much as I can lately. I don’t know if this was a factor in taste. Maybe not. I added a can of chicken broth as well. Then I added an 8 ounce package of cream cheese. I’ve used the Neufatchel before, but I went full fat last night. Then I remembered that I had some fresh spinach in the refrigerator. It was quickly losing its freshness and needed to be used. So I chopped up an onion and chopped up the spinach, and sauteed them in Extra Virgin Olive Oil until soft and wilty. Then I added it all to the potato soup. I added salt and a little pepper to taste. That’s it. It was so good! We finished it off tonight. 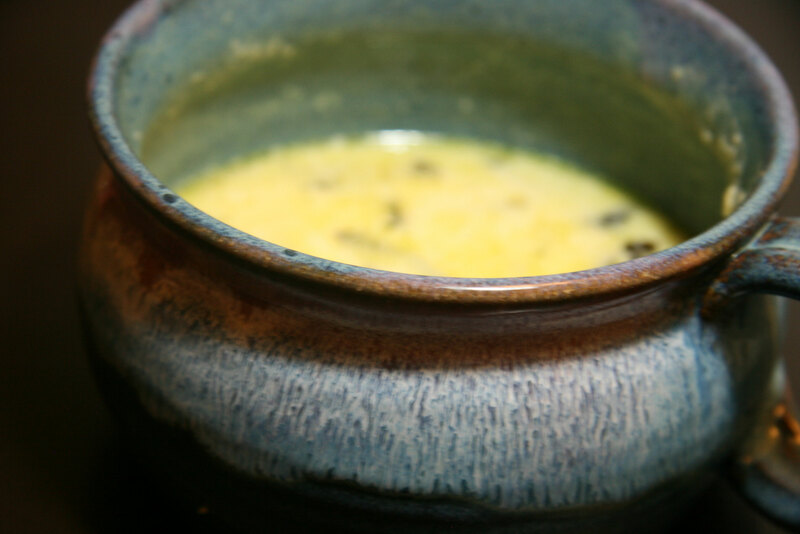 Here’s a pdf for the recipe: Potato Spinach Soup This will be handy for me as well! This entry was posted in Cooking by cpeezers. Bookmark the permalink. thanks!- given that I also have spinach losing its freshness and a big bag of onions & a bag of potatoes, this may just be the ticket! P.S. Oh, and potatoes with spinach–sublime sounding!